Railpictures.ca - Steve Young Photo: Westbound manifest about to pass under the Trans Canada Highway. The three leading flat cars have interesting tracked vehicles. | Railpictures.ca – Canadian Railway Photography – photographie ferroviaire Canadienne. Copyright Notice: This image ©Steve Young all rights reserved. 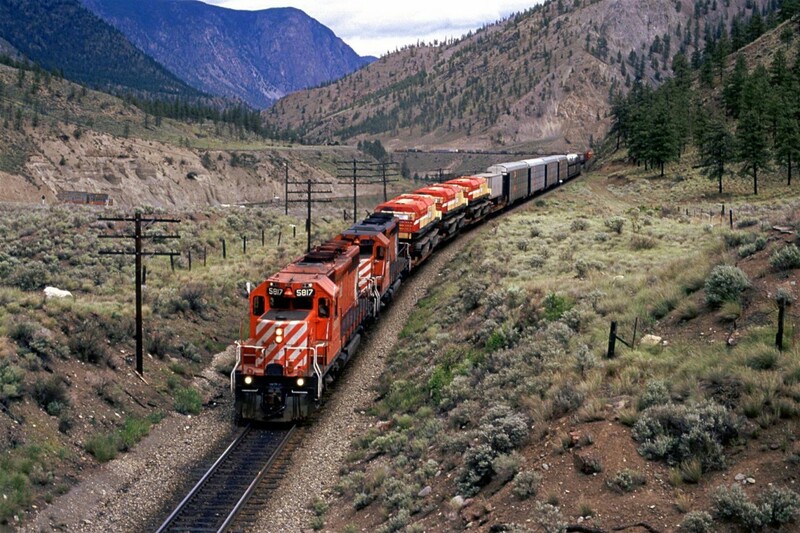 Caption: Westbound manifest about to pass under the Trans Canada Highway. The three leading flat cars have interesting tracked vehicles.